Niagara Falls in Ontario is a city nicknamed the honeymoon capital of the world, and is home to the Niagara Falls, a world-famous set of three large waterfalls on the Niagara River. 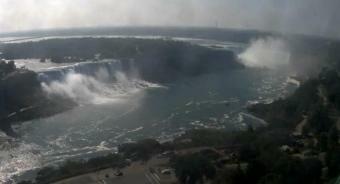 From largest to smallest, the three waterfalls are the Horseshoe Falls, the American Falls and the Bridal Veil Falls. Visitors to the city of Niagara Falls enjoy excellent dining, nightlife and family adventure and more.